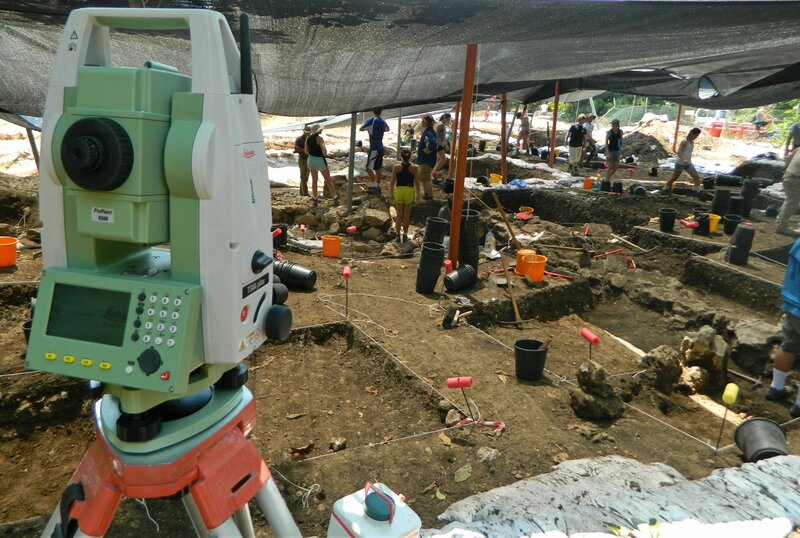 The first Sunday of July, nearly a week after my day at the Tel Kabri Archaeological Dig, I began my month-long stint at the Bar Ilan University archaeological dig at Tel es-Safi (the Biblical city of Gath) under Prof Aren Maeir. 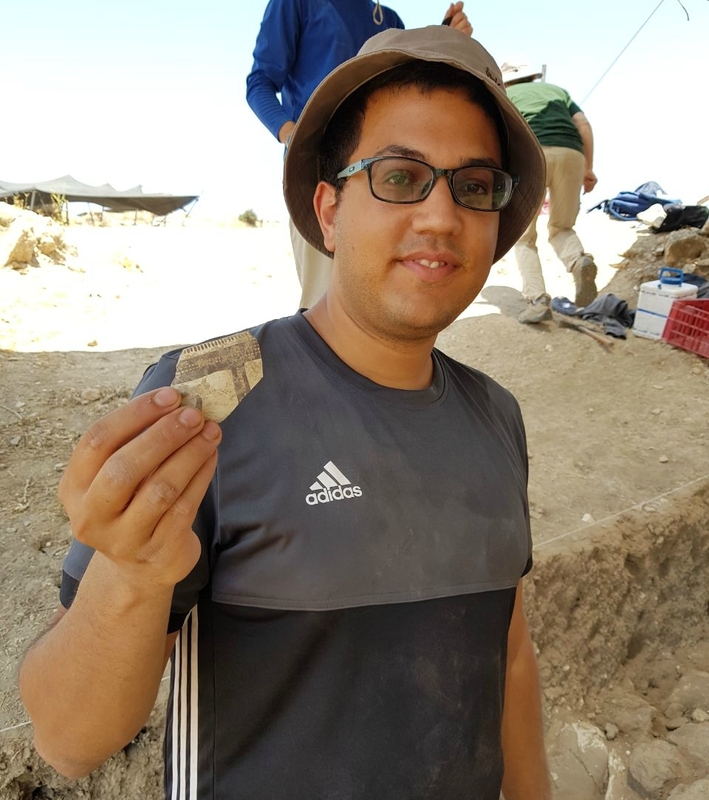 Currently there are only two active excavations, Tel es-Safi and Tel ‘Eton (the lab I worked in last year), yet this year only Tel es-Safi was offered. 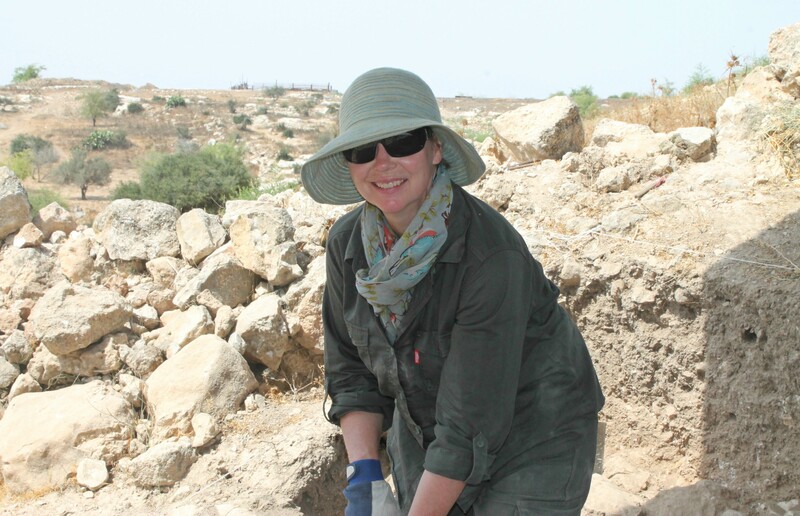 Since I am working on getting my archaeologist’s licence, I was slated as being the assistant of Dr Jill Katz of Yeshiva University. I was joined by fellow BIU student and friend Itamar Berko and together we served as square supervisors for Jill’s area, the newly opened Area J. Being that this event took place over the course of four weeks, I have decided to cover it in two long blog posts, reporting the events of the first two and last two weeks. A separate blog post will cover two fun field trips that we took, one on the first week and one on the third. 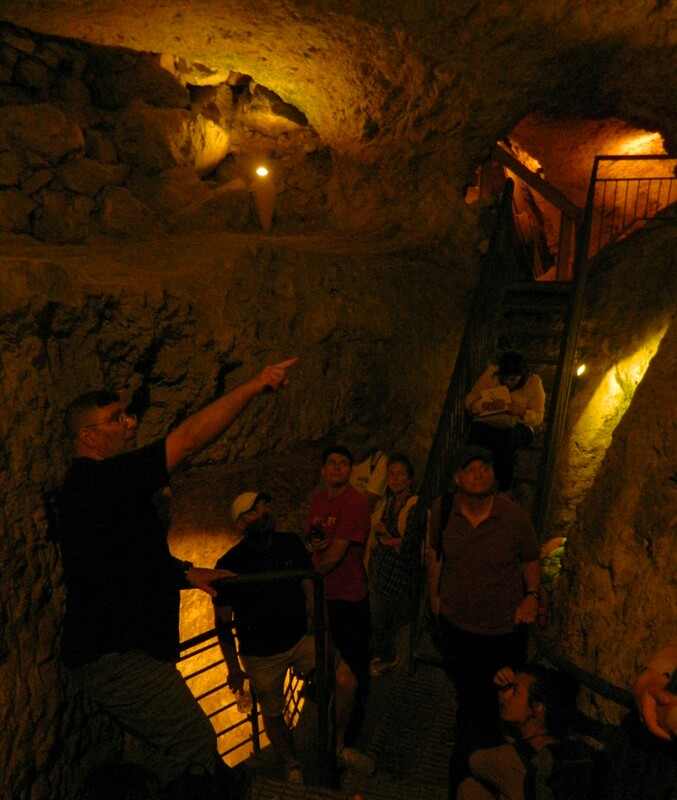 But first, a quick summary of Tel es-Safi and its historical and geographical significance. 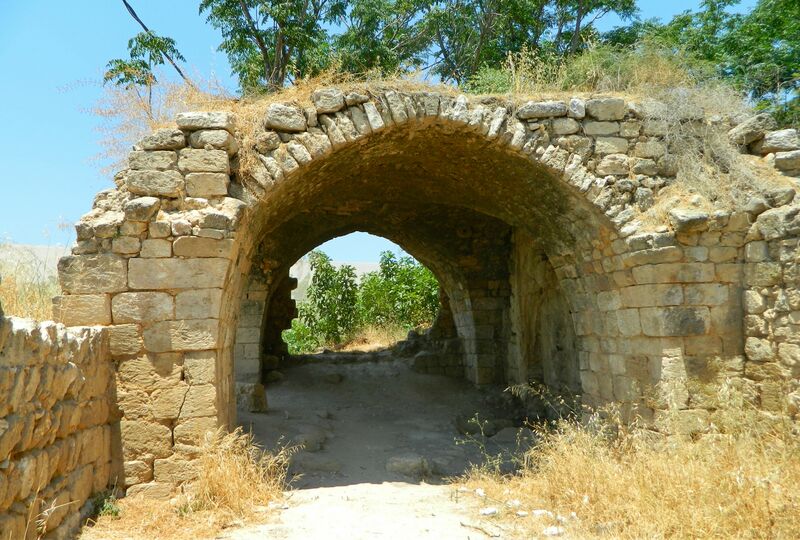 Located in the Judean lowlands not far from Road 6 and Tel Azeka, Tel es-Safi was once the capital of the Philistine kingdom which included cities such as Gaza, Ashkelon and Ashdod. 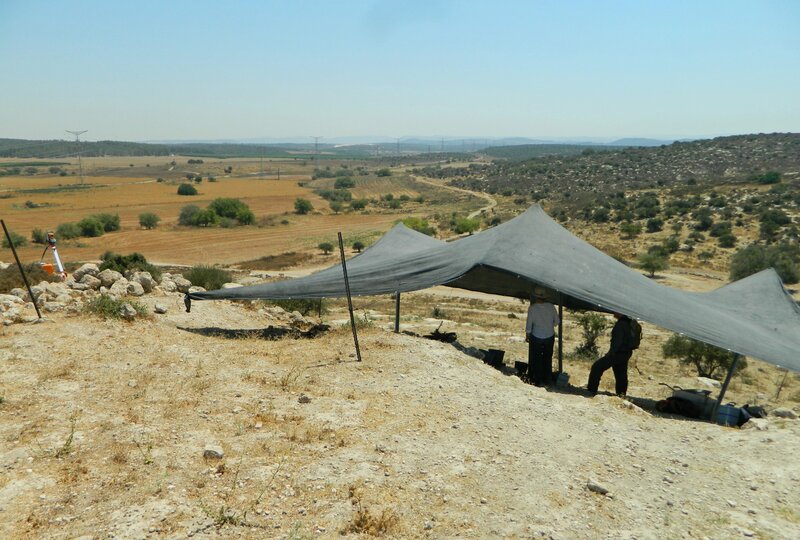 At that time, in the Iron Age some 3000 years ago, the Israelites established their kingdom further inland, controlling mostly the mountainous regions. 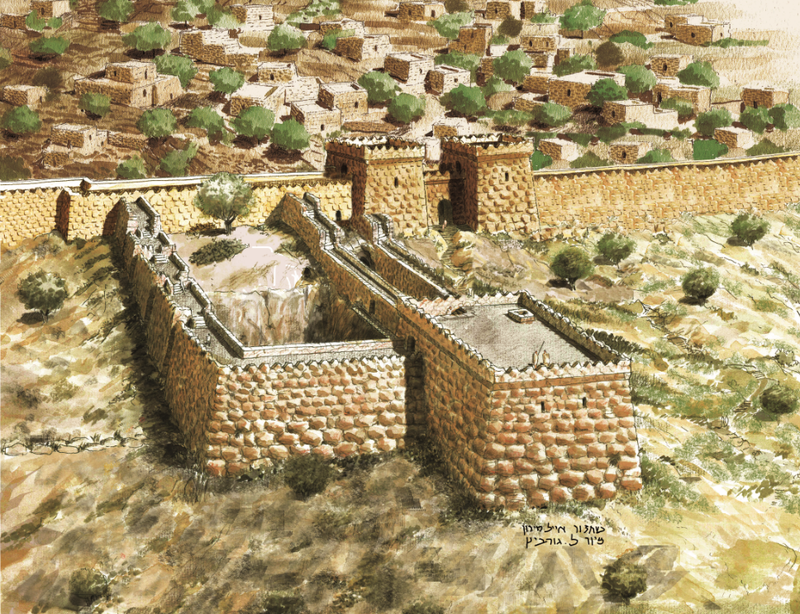 The Philistines didn’t get along so well with their neighbours and thus the Israelite Kingdom erected fortified cities (such as Azeka) along the virtual border, in hopes to stave off invasion. Goliath, the villainous giant in the famous biblical story of David and Goliath, hailed from Gath (the city later sheltering David himself at a later point). 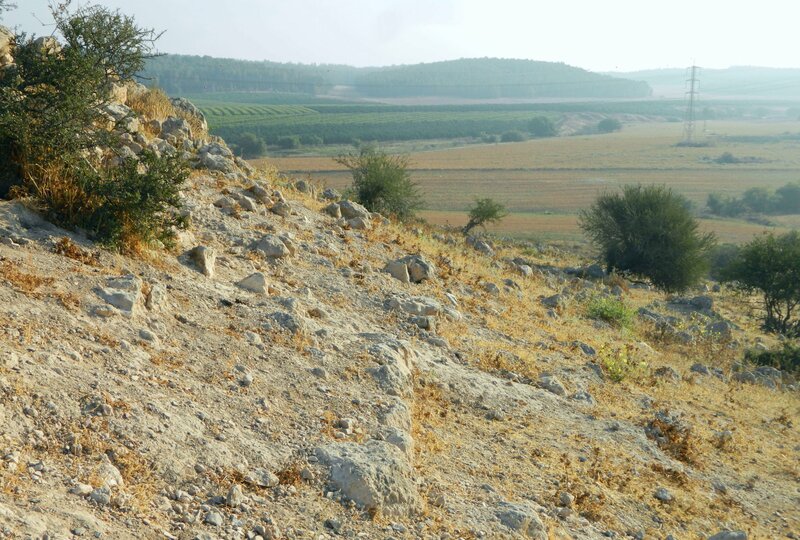 Eventually, after the Israelite kingdom was split into two, King Hazael of Aram-Damascus made his way southeast and conquered the both of them. Swinging eastward towards the Mediterranean, Hazael then conquered Gath after a siege, critical to the archaeological research of the city. 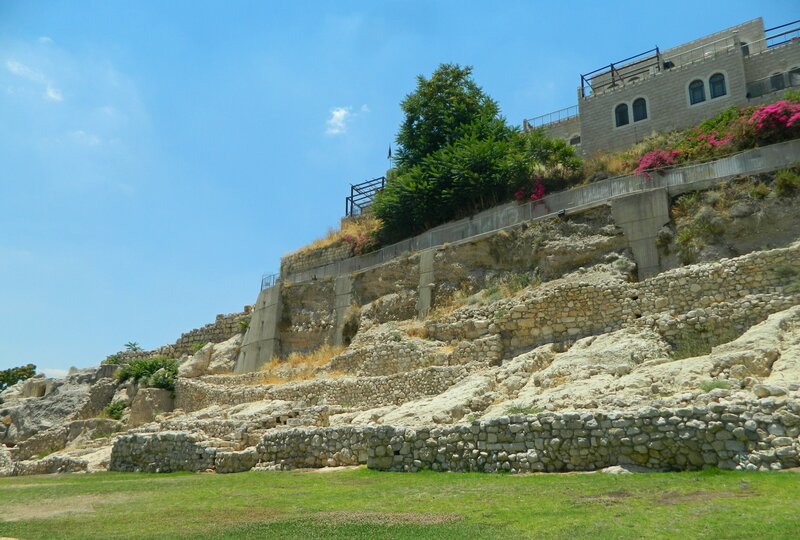 While the Philistines may have been the most famous inhabitants of Tel es-Safi, the goal of Area J was to find the Early Bronze era city wall that encompassed the original upper city. 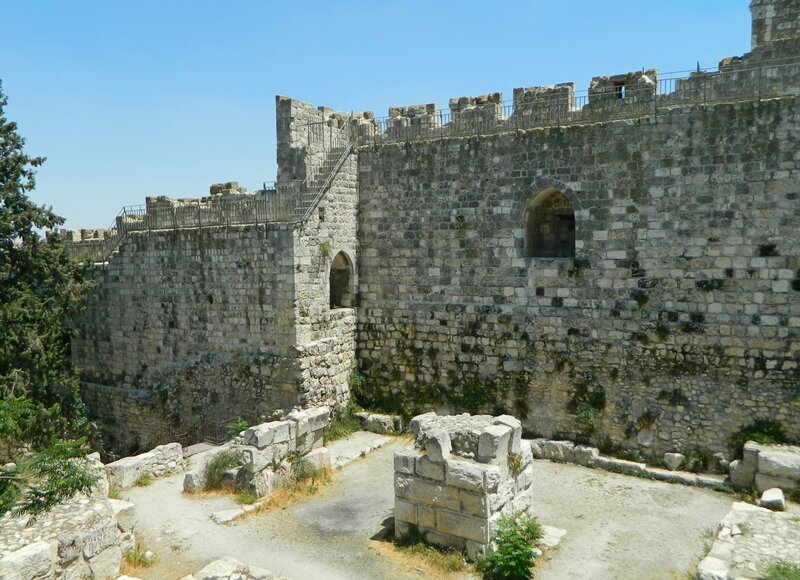 Heavily fortified by the Canaanites, the city was quite large for its time, and it was our job to find the city wall on the eastern slope. 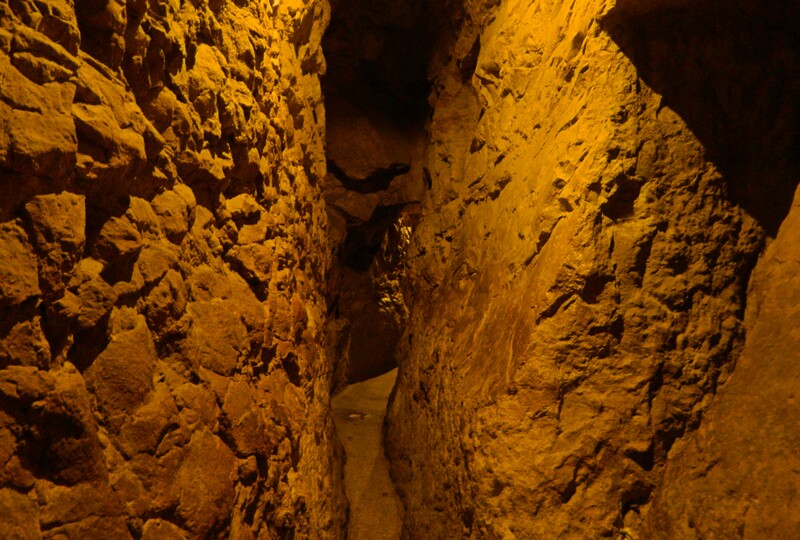 The best clue that the Safi think tank used was a straight line of large stones partially exposed following the sensible curvature of a wall. 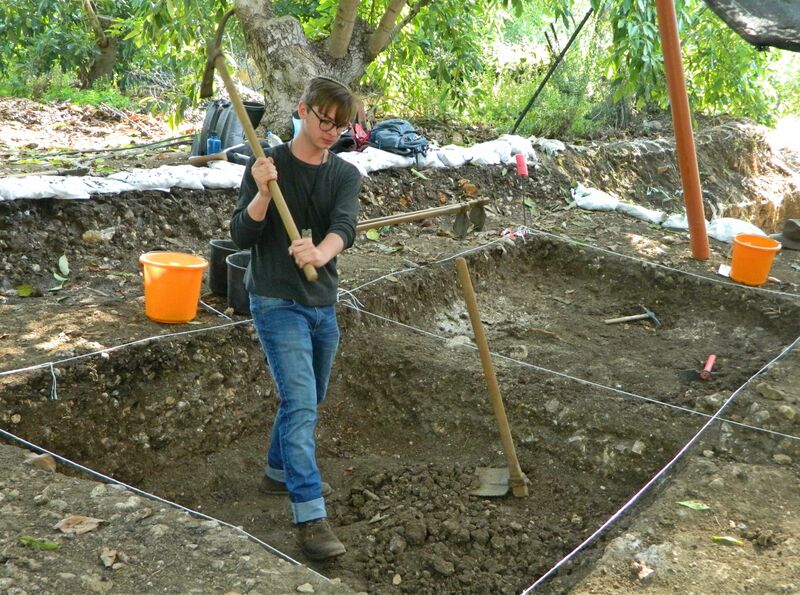 I had gone ahead the Thursday before the dig season began with other staff members to set up the shade tent and establish the borders of our two squares. 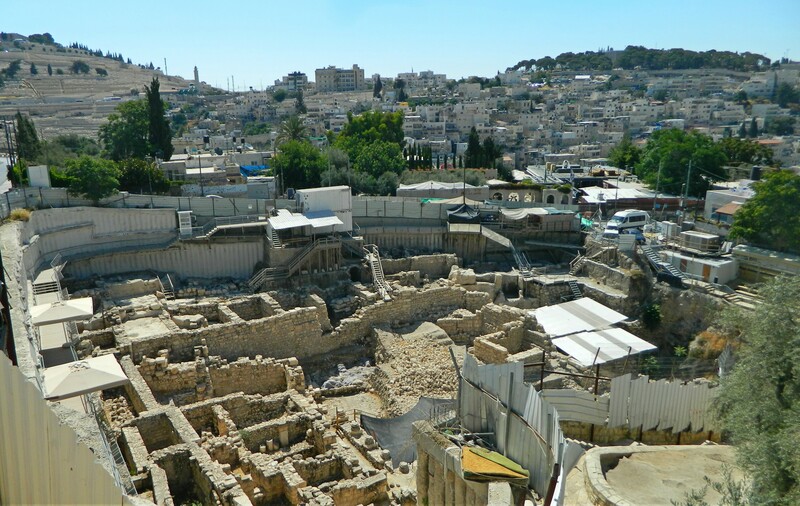 Because 2017 marks the year that the Upper City excavations will finally be closed after nearly twenty years of digging, this was to be the first and last year for Area J – a rather unusual practice in modern archaeology. Because it rested on our shoulders alone, it was pertinent that we achieve our goals before the end of the season. 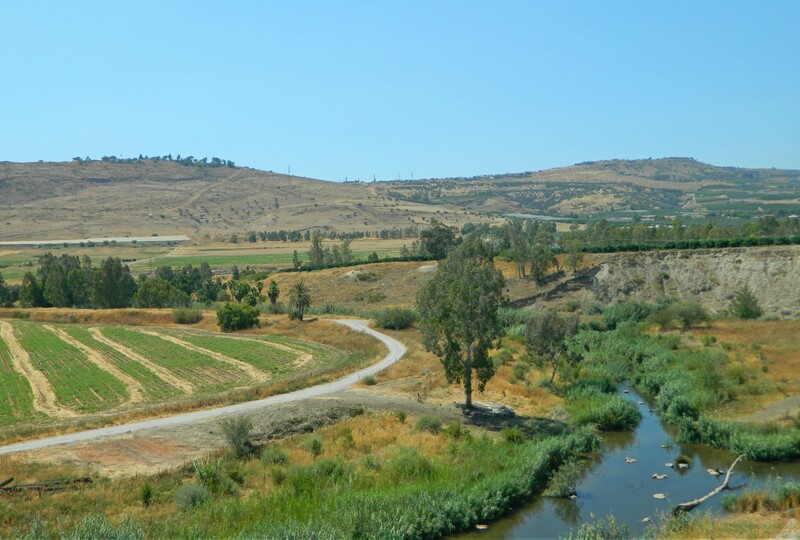 I joined other dig members, from BIU and foreign universities, on the bus to be driven to our home for the next month, Neve Shalom, just a few minutes away from Latrun Junction (and in eyeline of the Crusader ruins of Toron des Chevaliers). Disembarking at the hotel, we mingled in the lobby with the other students and staff members as we waited to receive our room keys. 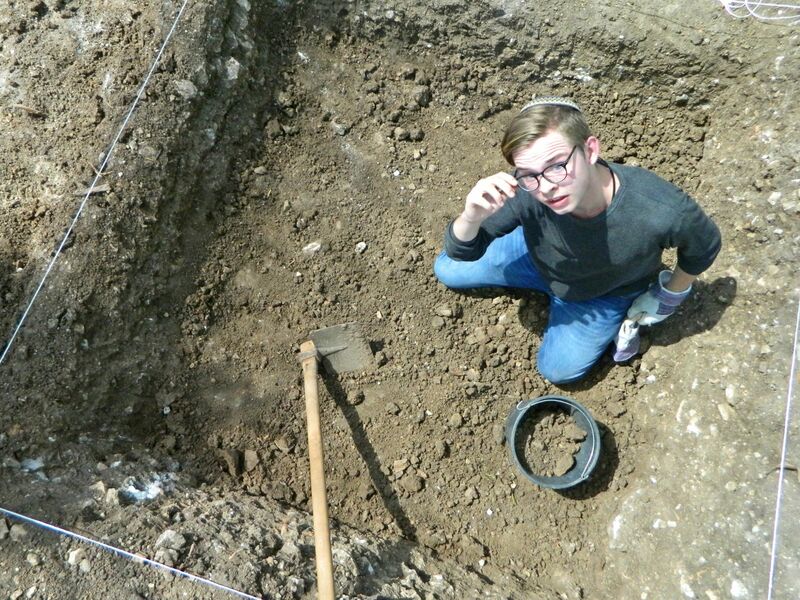 I joined my roommates and we got acquainted with our new home, preparing ourselves for the dig season. Going to sleep early because dig schedule starts early (the bus leaves at 5am), we spent our first night impatiently waiting to break out the tools. 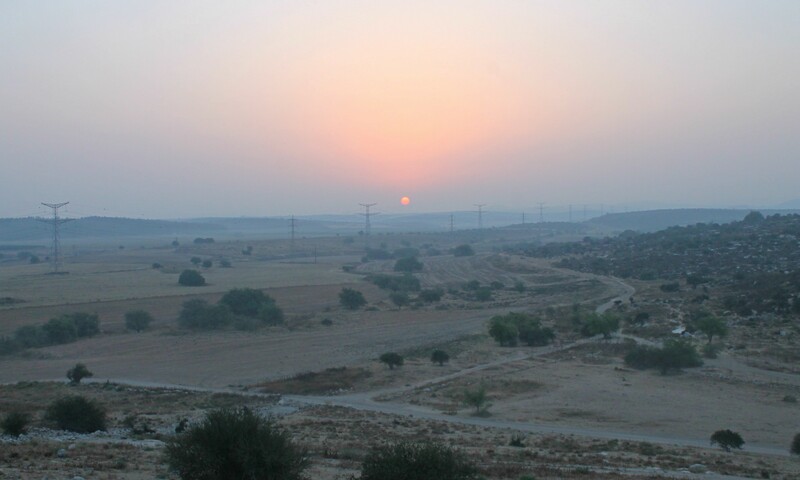 The next morning, before the sun’s rays peeked over the horizon, we boarded the bus and were driven to Tel es-Safi some forty minutes away. 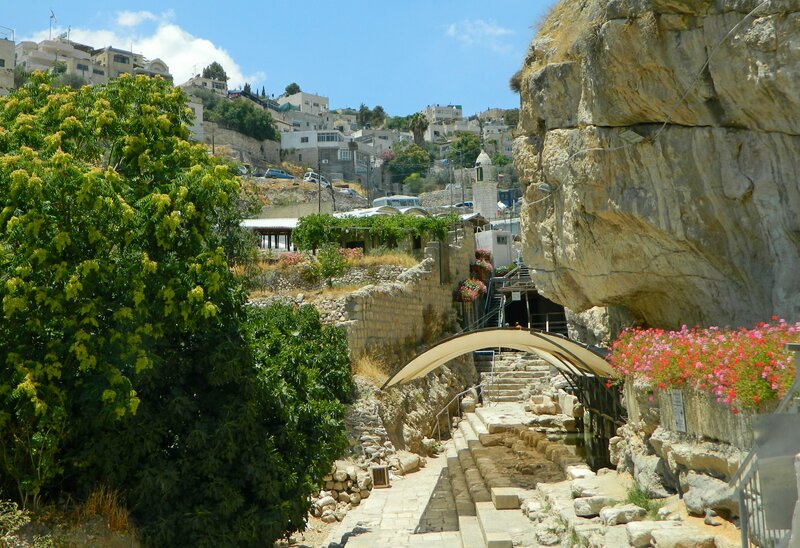 With dawn breaking, we examined the white chalk-paneled hill as we approached from the north, one bus stopping at the Lower City areas and our bus continuing around the eastern side of the tel to dispense us beside a Bedouin sheep and goat enclosure. From there we took the tools that we needed and walked towards our area, just downhill from Area E, run by Prof Haskel Greenfield of the University of Manitoba. 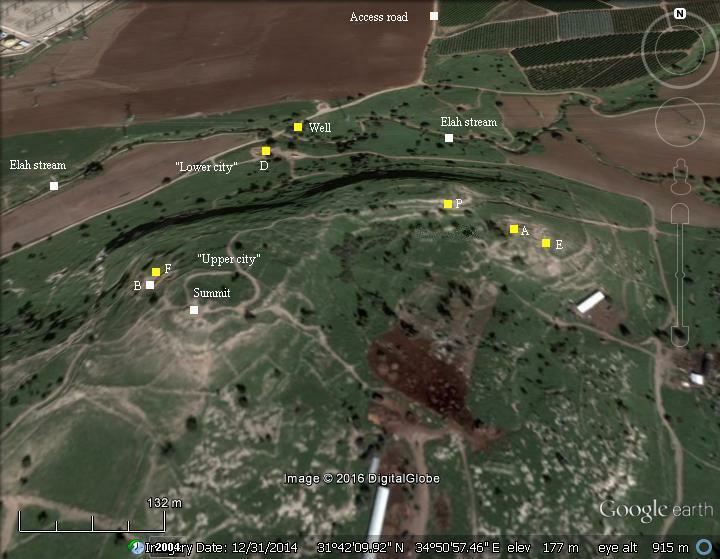 A marked satellite photo of the dig sites can be seen HERE, with Area J just to the right of Area E. The very first day we were a small crew: Jill, Itamar and myself with two YU students, Meredith and Moshe, and a volunteer from South Africa, Suzanne. A third YU student, Rebecca, was en route and joined us shortly thereafter. The morning began with Jill’s game plan briefing and, feeling updated, we got straight to work. 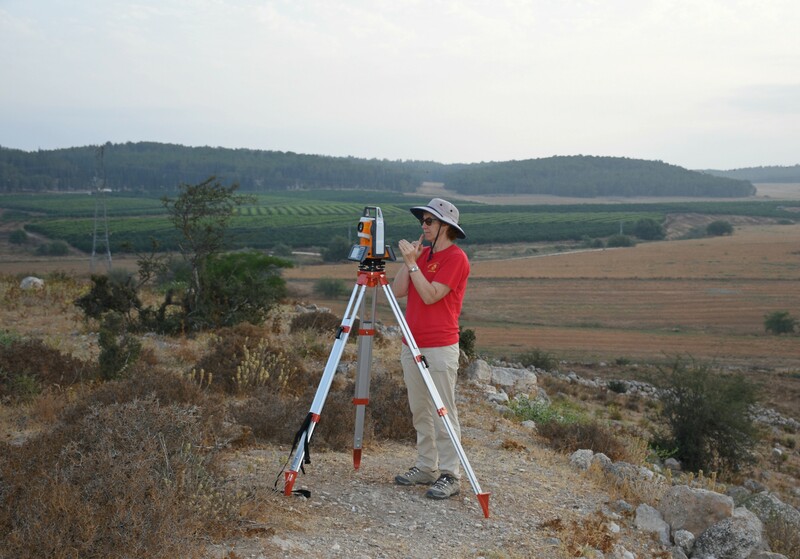 From setting up the total station to read and register elevation points to clearing out the two squares, we started off on the right foot. 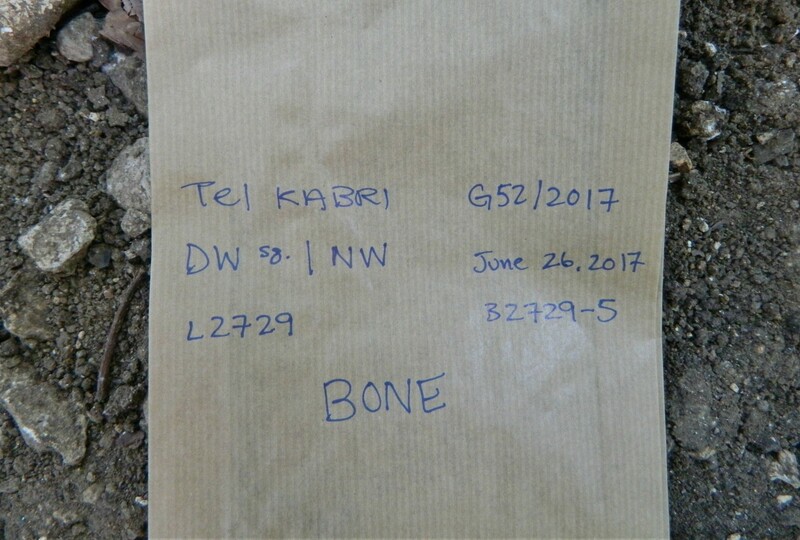 Most days started exactly the same way, and we worked efficiently knowing what was expected as we progressed in the dig. The square that I supervised was named 100A and Itamar’s was 100C, side-by-side facing eastward. 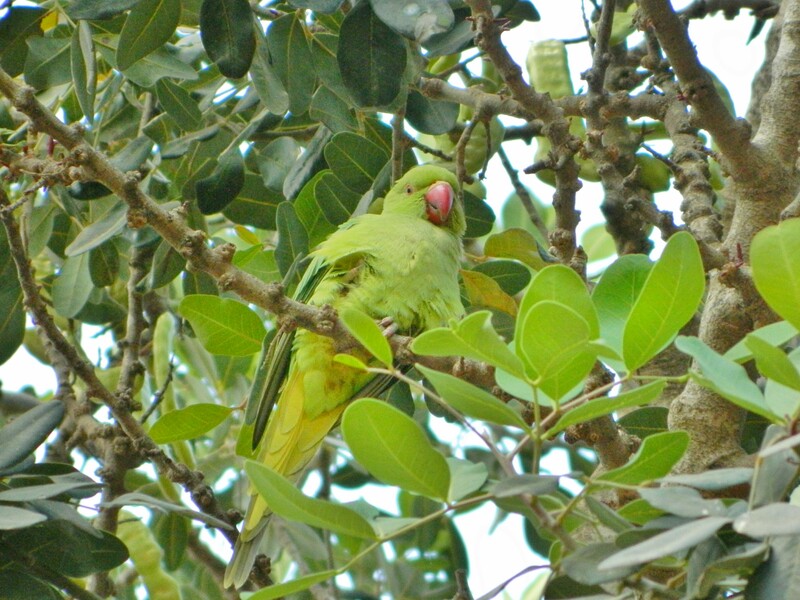 One of the things that really excited me, especially during the first few days, was the incredible birding on the tel. I haven’t much experience exploring the Judean lowlands so I had the pleasure of getting to see some interesting birds (and reptiles) up close. 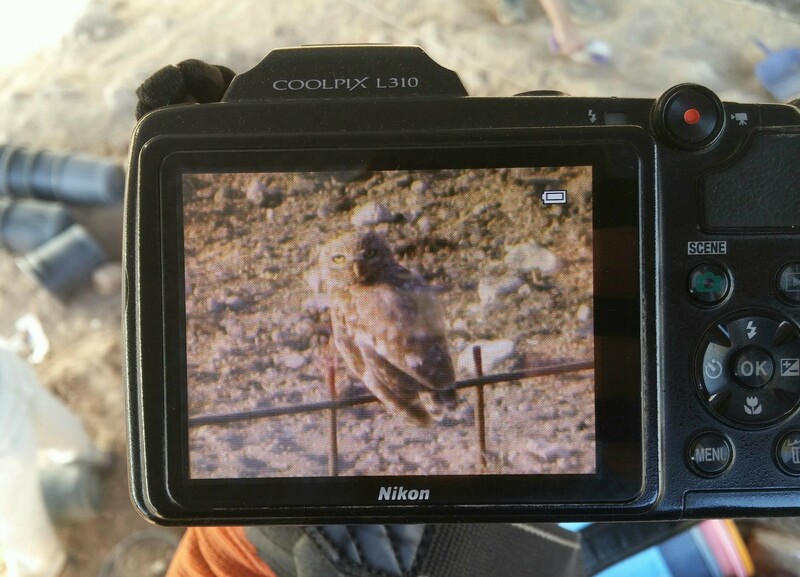 I opened a note on my phone to keep track of the birds, and species that I’d never seen before, including European rollers, which have bright blue feathers, and the little owl which perched on the Bedouin fence below semi-regularly. 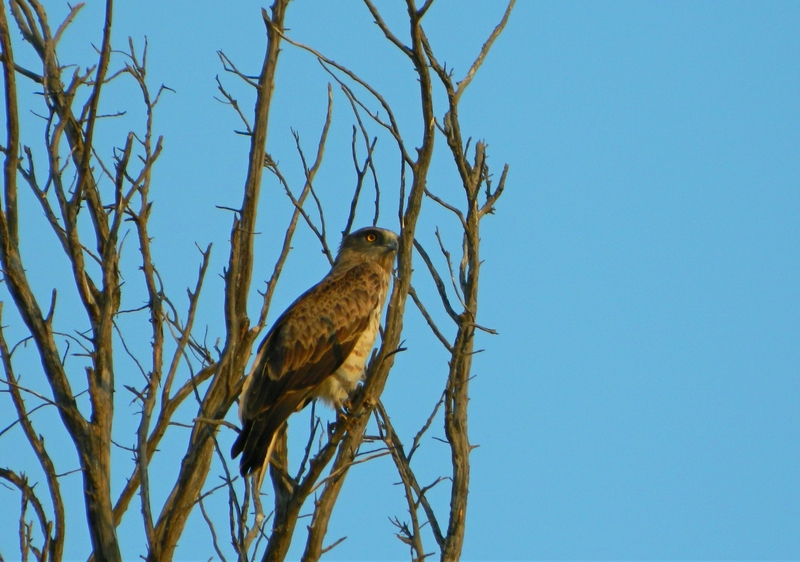 On a trip to the storage container some kilometres away I saw two more new birds: the great spotted cuckoo, which I tracked excitedly to a nearby tree to confirm identity, and a hobby, a small, dark type of falcon. Large flocks of jackdaws would fly overhead every morning and the large short-toed eagles would swing by every so often. In addition, there was a lone white-breasted kingfisher that made an appearance from time to time, and bunch of woodchat shrikes that would hunt from their perches on thorny bushes. Reptilian and amphibian sightings included a bold Schneider’s skink that lived near the breakfast shade, the dried up body of a blind worm snake and a green toad that a girl over at Area E found. All-in-all, rather exciting for a nature lover. The days came and went and, slowly but surely, we removed the topsoil of the upper sides of the squares, as we were working on a slope. Countless buckets were filled and poured into the trusty wheelbarrow, which, in turn, was dumped countless times over the small ridge just metres away. Every morning we delighted in watching the Bedouin feed his sheep and goats, and we learned to be wary of his attentive and protective dogs. We never failed to find amusement in listening to his donkey bray, the fun noise always ending so anti-climatically. 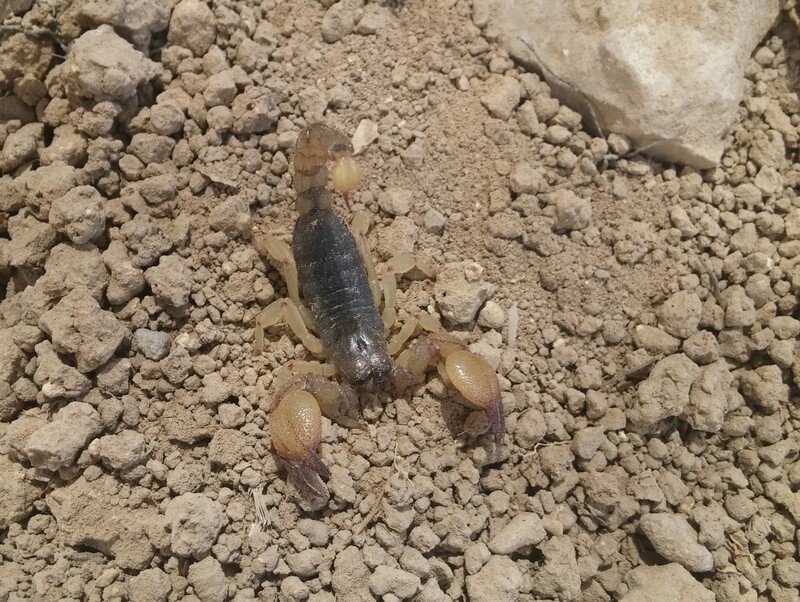 Within a few days, while working around a stubborn stump, we hit treasure – scorpions! When Aren swung by later that morning we told him that we found scorpions and, in response, he jokingly told us that we’d get a beer if we found twenty-five. Needless to say, we surpassed that goal and he came through with a six-pack of beer, which we enjoyed one evening at a special Area J “scorpion party”. The mornings were full of hard work and intense laughter; my square’s chemistry was truly astounding as we humoured ourselves senseless daily. At breakfast, taken just up the tel beside Area A, we’d take a break from the toil and hilarity as we’d feed on the offerings brought from Neve Shalom. Just to make things interesting, Prof Louise Hitchcock would call for breakfast to end with two quotes from The Ten Commandments, telling us “dogs” and “mud turtles” to get back to work. Not long after breakfast we’d have a fruit break, which usually consisted of watermelon and cantaloupe sliced up at Area E.
The end of the first week proved interesting as we went on a tour of the Stalactites Cave near Beit Shemesh (to be covered in a different blog post) and spent the night at Ramot Shapira in Beit Meir. The next morning, while scraping the dirt away to define the dirt shelf we had made to work our way down through the topsoil, I made an interesting discovery. My trowel struck metal and, working my way carefully around it, I realised that there was a vessel of sorts laying upright on its side. Because we were still not that far down, it was the general assumption that whatever we found was either modern or old but washed downhill and therefore out of context. 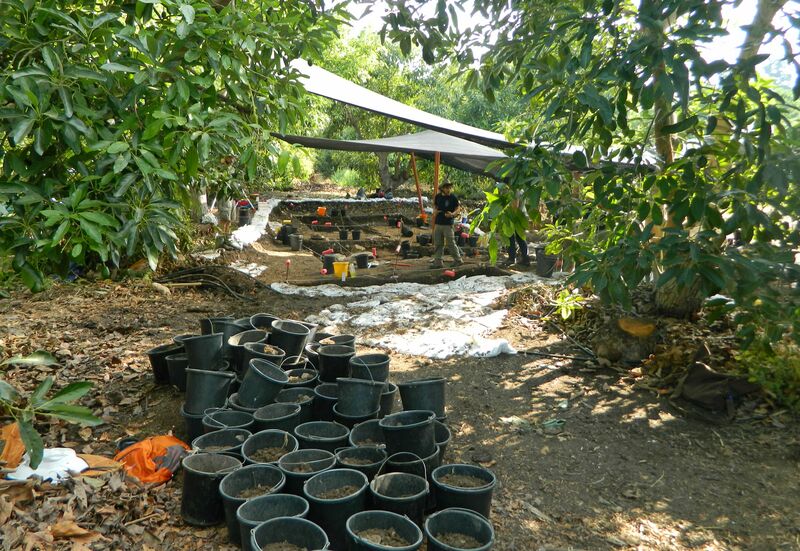 So, assuming that it was modern, this largely-intact vessel was removed and examined. When Aren came over he examined the vessel and got visibly excited, telling us that it looks like an bronze bowl of Assyrian or Phoenician design from the Iron Age (3000 years old or so). It got even more exciting when we added that we found a metal disk of the same or similar material with a rosette motif the day before. 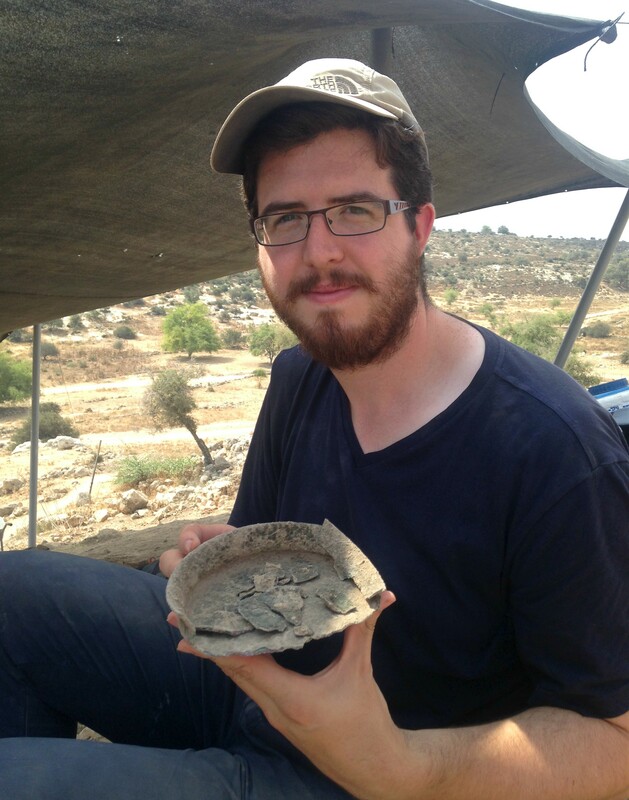 After the fun in-field talk of ancient metal vessels, we carefully packaged the pieces as instructed and gave them over to Aren to take to a lab in Jerusalem later that day. I recently popped into the Tel es-Safi lab on campus to see if there’s any news on the bowl but, unfortunately, no word yet. With our first week ending on such a high, we were excited to return the next Sunday and be back on the tel early Monday morning. 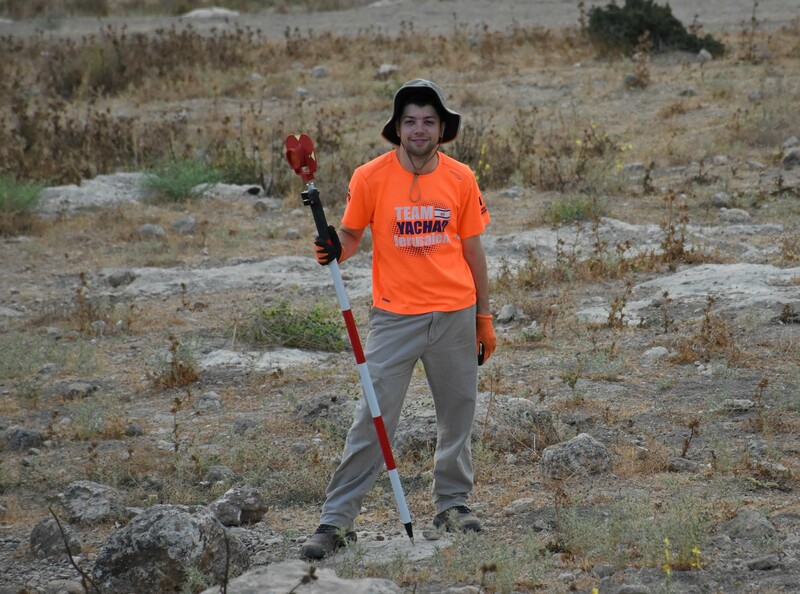 We were joined by a new member, Avraham from Brandeis University, a Safi veteran who was eager to be put to work. Continuing with our excavation, we had other swell finds such as a finger-shaped stone with a hole at the end, a metal pin of sorts and a ceramic spinning whorl. 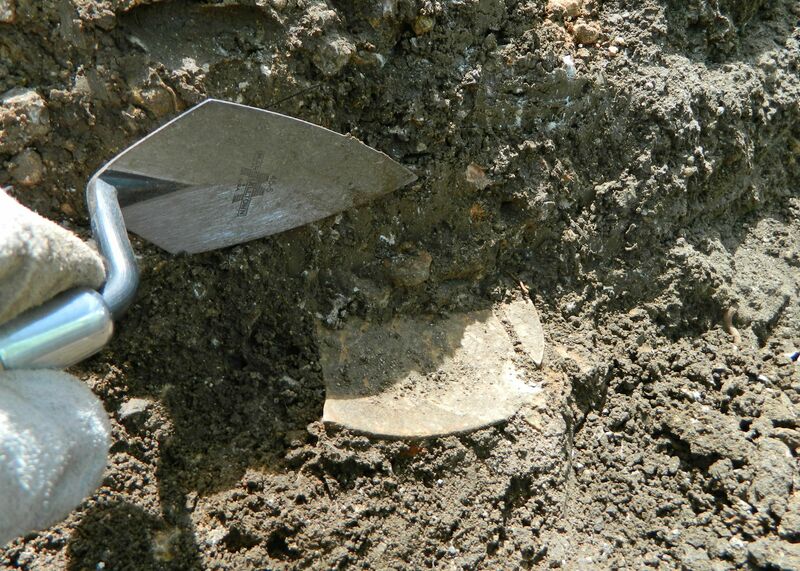 One thing that’s really cool about where we were digging is the huge amount of pottery, a lot of it interesting – with painted Philistine sherds all over, even on the surface. 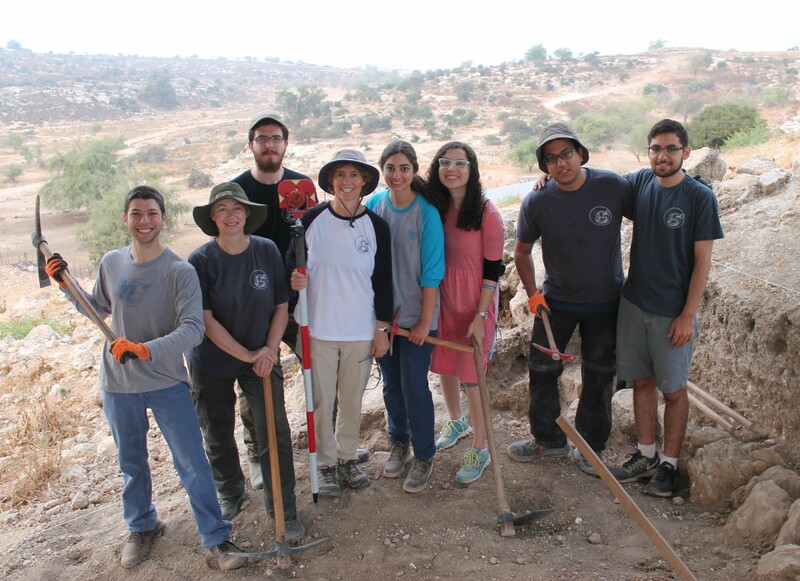 Due to the fact that we were excavating on a slope and had to clear away a huge amount of dirt, there was a lot of work that was pretty ho-hum, made exciting and fun by the incredible “J Crew” (as we sometimes called ourselves). Life back at Neve Shalom usually comprised of us eating heartily, washing/reading/writing on potsherds, fraternising with the other dig members, doing the paperwork of the day’s events in-field, preparing the next day’s top plan and occasionally visiting the pool. There was also a fun activity called “heavy fractioning” which involves sitting in front of a tray of sediment and having to pick through it with tweezers to remove valuable bits such as bone, shell, organic material. During my turn at heaving fractioning, we found a cool miniscule fish jaw complete with teeth and what I believe was a tiny black bead, which I unfortunately lost when I squeezed my tweezers just a tad too much. 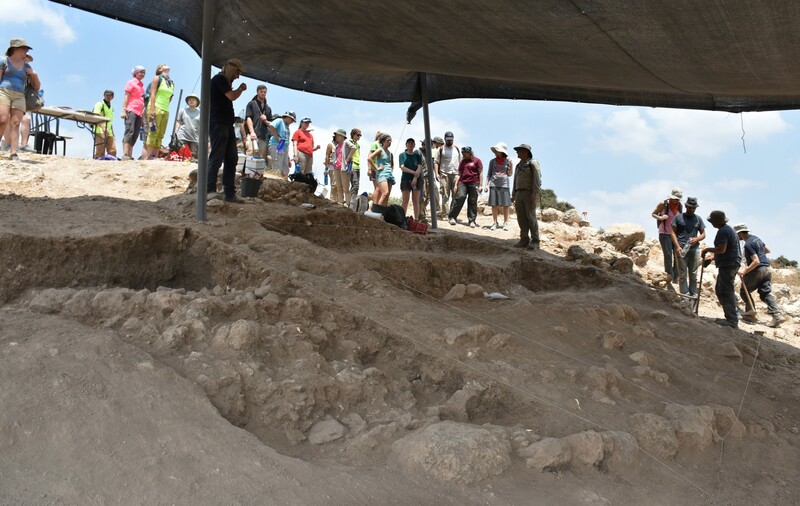 The week after visiting Tel Aroma & Mount Gerizim in the Shomron I participated in another academic tour offered by Bar Ilan University’s Archaeology department. 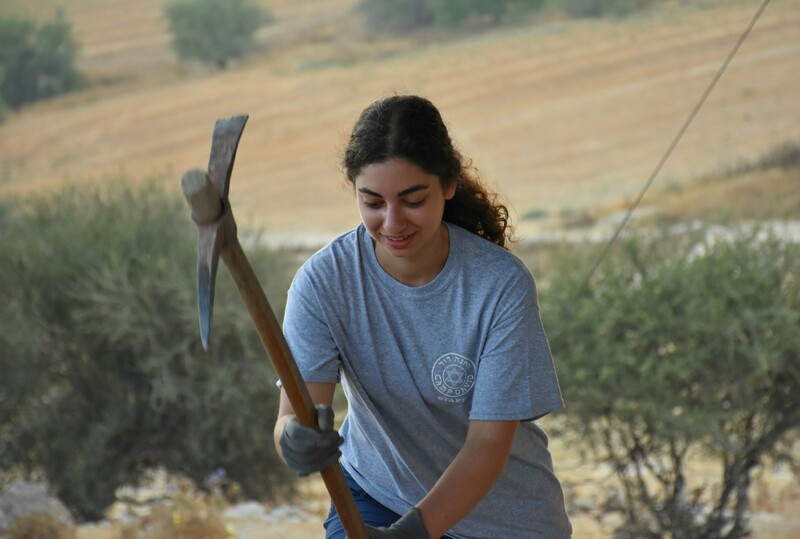 This time we were traveling to the north of Israel with Dr Einat HaLevi Attia to examine early “Moshavot” of the Galilee, settlements established in the late 1800s and early 1900s by the first waves of immigrants to the Holy Land. We boarded a tour minibus at the university and made our way to the first site of the day, Kibbutz Merchavia, after a short rest stop in neighbouring Afula. We sat outside the “Great Courtyard” and learned about Merchavia’s founding in 1911 and their distinct organisational style as being a “co-operative”. Interestingly enough, they created the first dairy in modern-day Israel. 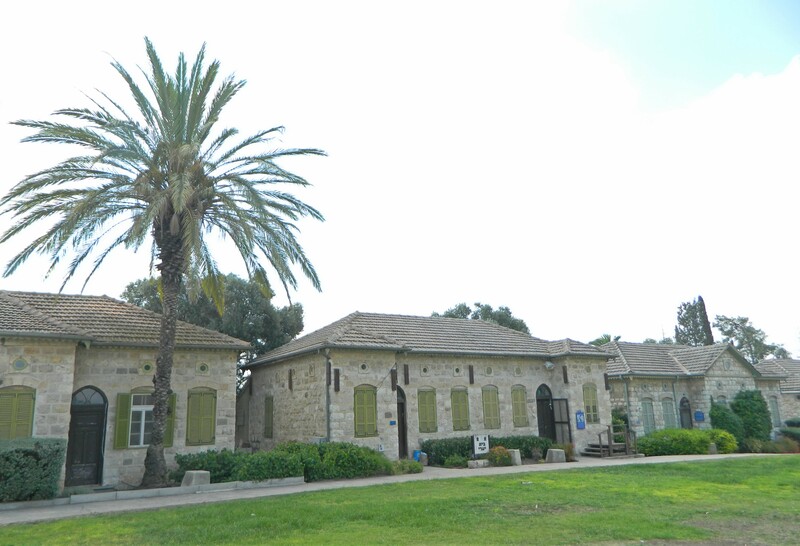 Our subsequent tour of the courtyard’s buildings included the “Big House”, the “Produce Granary”, the Haganah Radio Station and later Israeli prime minister Golda Meir’s house. 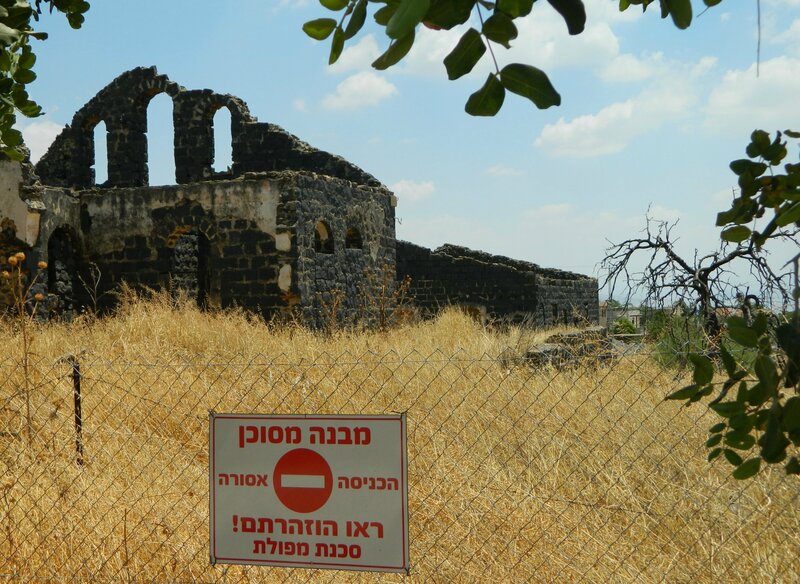 Getting back into the minibus, we then took a very short drive to the edge of the moshav version of Merchavia where admired a large manor built during those formative years and nicknamed the “Castle of the Jezreel Valley” due to its size and position overlooking the valley. Returning to our trusty minibus, we then drove over to where the agricultural establishment of Sejara once stood, founded in 1900. 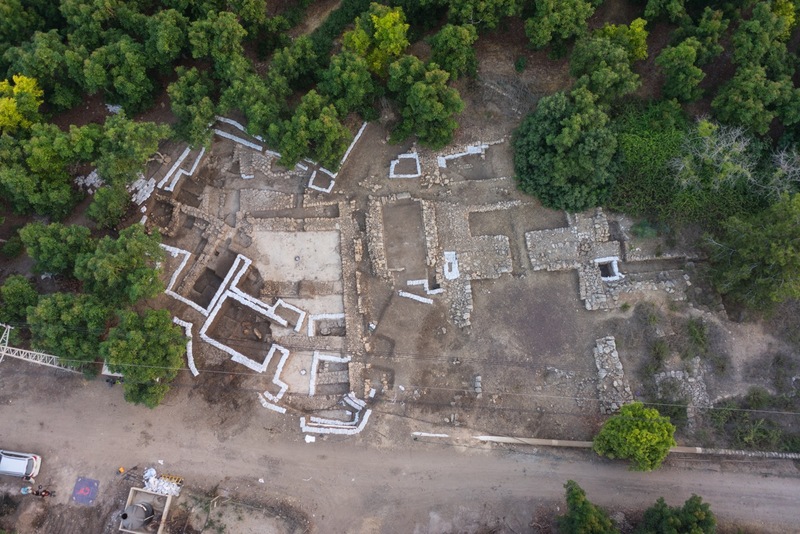 Today the remains are within a military base by the name of Chavat HaShomer (which I visited once several years ago but didn’t see the ruins). 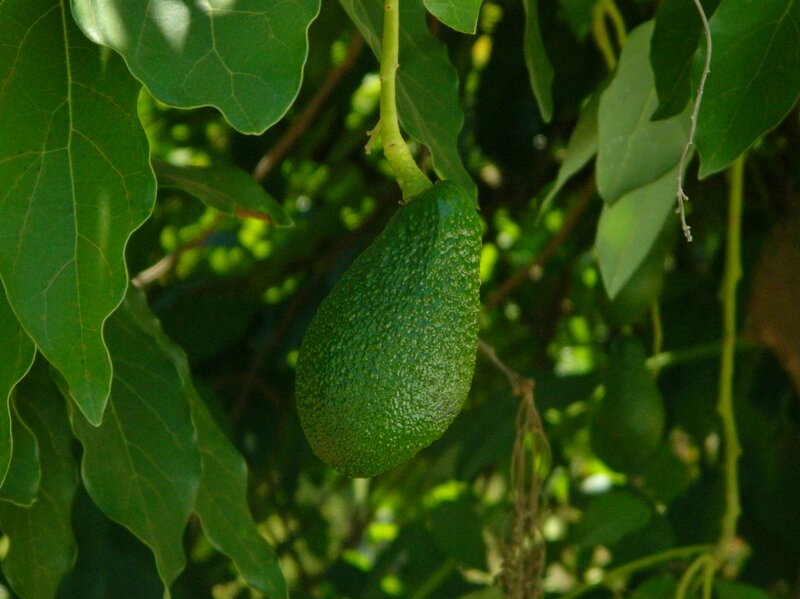 So, we stayed outside under a large tree and learned about the site before walking over to see Ilaniya, the successor of the Sejara settlement. There we were afforded up-close and plentiful views of the still-existent site – a settlement of one main street lined with agriculturally involved houses. I distracted myself trying to photograph singing goldfinches, but with limited success. Walking to a rooftop lookout, we passed farming equipment on display and then admired a large wall that was originally made with white chalk and then added to with blocks of dark grey basalt. From Ilaniya we got back into the minibus and drove to see a handful of ruined basalt buildings in Poriya, established in 1912. 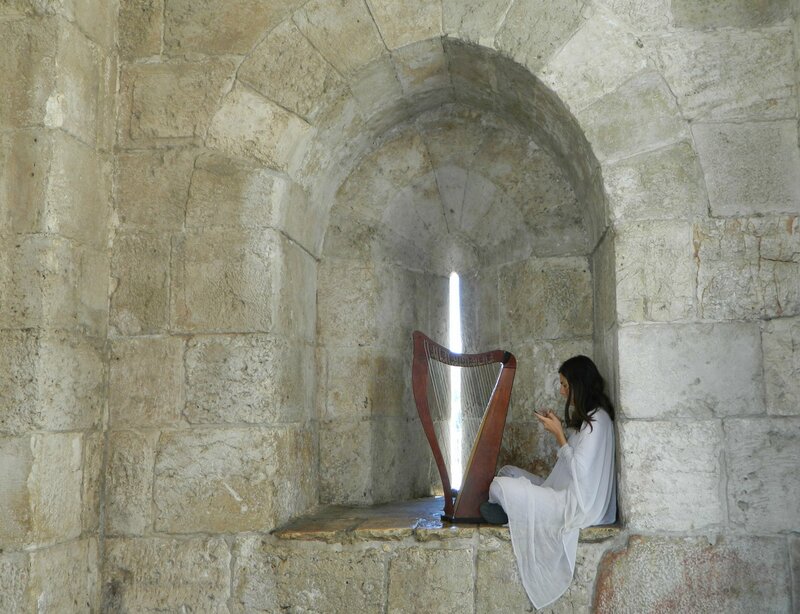 From there we took a short break at a strip mall where I purchased a bottle of semi-sweet hard cider for Shabbat and then on to the next site on our list: the Kinneret Courtyard just south of the ruins of Bet Yerach. 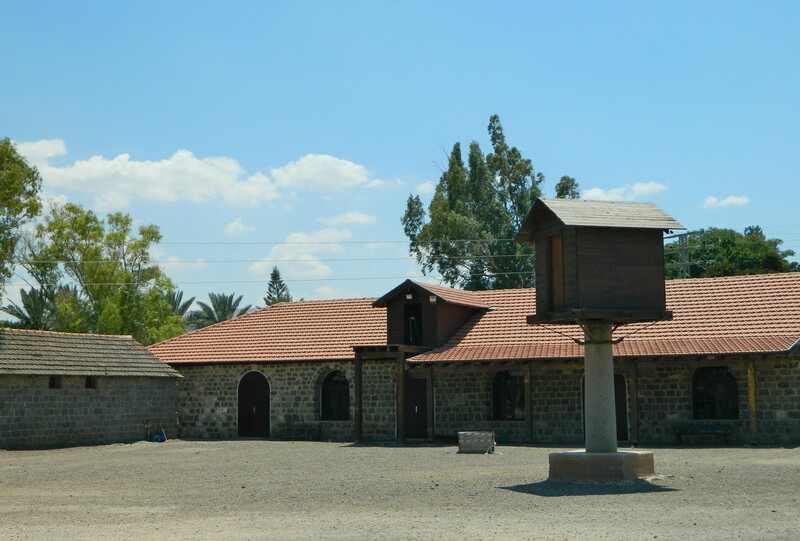 A rectangular collection of well-kept basalt buildings, the courtyard was founded in 1908 as a defensible frontier close to the Sea of Galilee. 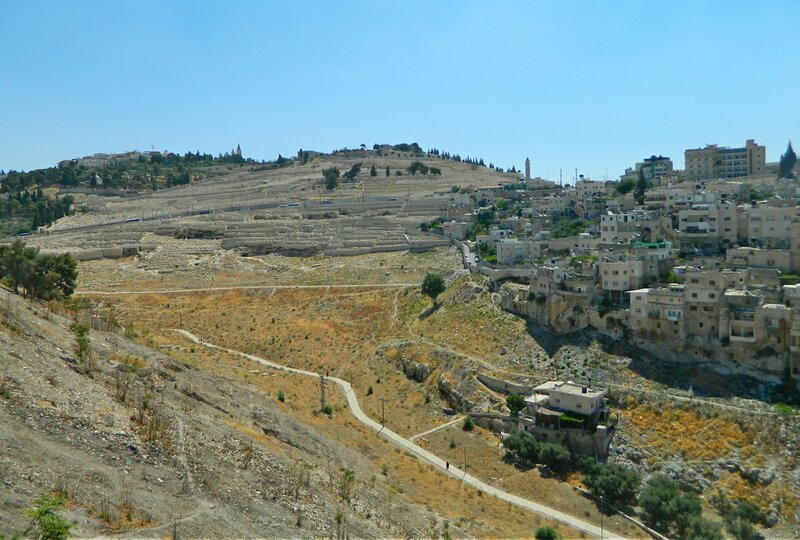 We were greeted by our local guide, Asaf, who gave us a hurried yet sincere overview on the early history of the settlement and the difficulties that encumbered the settlers in those times. Inside the exhibits room of the courtyard, located within the old khan (roadside inn), we inspected items that belonged to that era, as well as signs depicting the important figures who played roles in the sites formation. Taking leave of the courtyard, with some noisy kestrels passing overhead, we got back into the minibus to be taken to Degania, which I had already visited in 2012. We met up with our next local guide, witty Moshe, who took us on an interesting tour, including the following site which I had not known about beforehand. Driving alongside the agricultural date groves at the edge of the kibbutz, we reached the place where the first building was constructed in 1909 – at a place once known as Umm Juni. 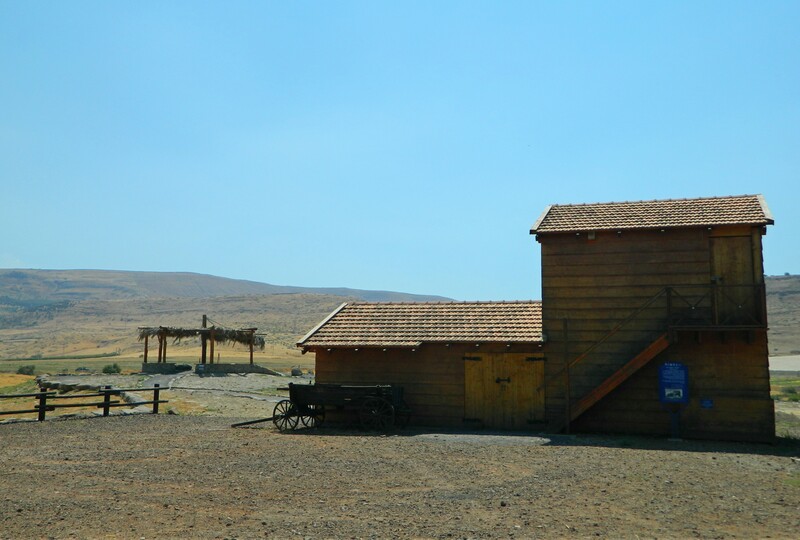 This structure was featured in the famous photo of the settlement members in mostly Arab garb posing that can be seen HERE. Beyond the structure is a wildly windy lookout overlooking fields and the dry wilderness beyond. Directly below the gentle Jordan River flows, nimble swallows (both barn and red-rumped) darting back and forth in the hot air overhead. I stalked a bird along the basalt rocks only to discover that it was a crested lark, nothing to get too excited over. From there we went to the regular part of Degania, where the courtyard (a common theme this trip) beckons, with its basalt stone structures. Overhead we got glimpses of cormorants flying to and from the Kinneret’s banks, and the occasional goldfinch snacking in a pine tree. We entered the small museum just outside the courtyard’s domain and examined the collection of photographs taken over the years, including a particularly interesting aerial shot with the shadow of the German airplane that took it. I signed the guestbook, plugging my blog shamelessly, and we bid farewell to both Degania and our guide Moshe. 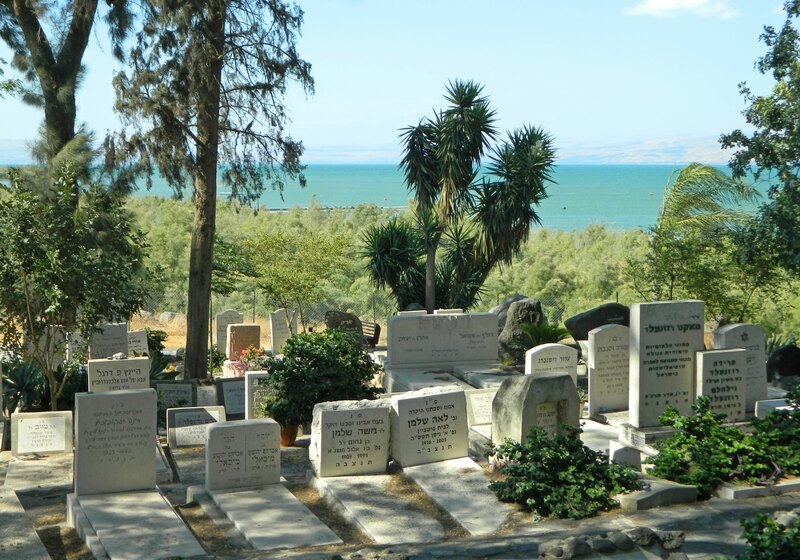 We had one last place to visit – a cemetery overlooking the peaceful blue Kinneret. Having discussed so much of the early years, it was time, at last, to see what has become of the valiant members of such noble efforts. We were there to pay our respects, and to have one or two last things to reflect upon before we returned to the urban sprawl of the centre of the country. Leaving the cemetery, we ritually washed our hands and boarded the minibus for the long drive back, another interesting trip under our belts.